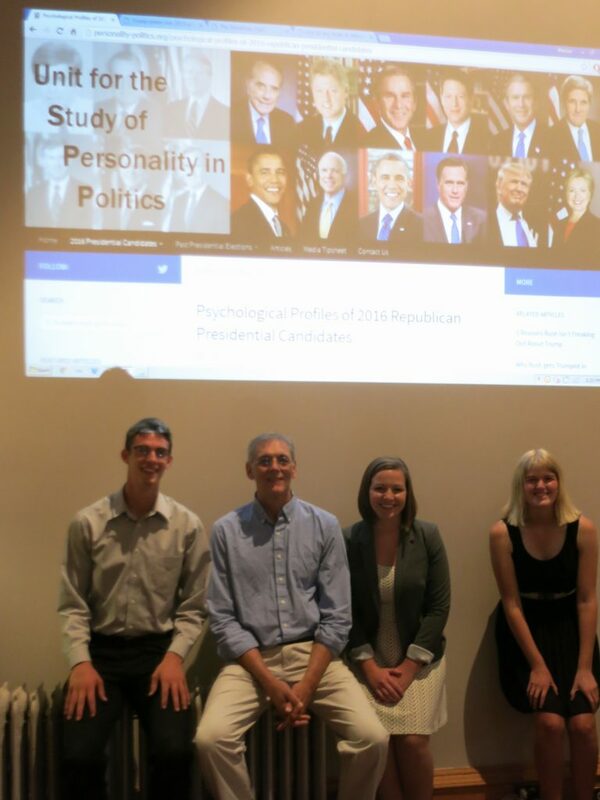 Established in 1999, the Unit for the Study of Personality in Politics (USPP) is a collaborative faculty–student research program in the psychology of politics at St. John’s University and the College of St. Benedict in Minnesota, directed by Aubrey Immelman, Ph.D., associate professor of psychology, who specializes in the psychological assessment of presidential candidates and world leaders. 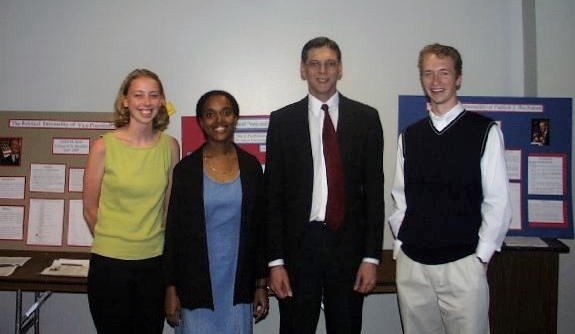 USPP founding members Jennie Scott, Aví Bahadoor, Aubrey Immelman (director), and Jason Bartos. USPP contributors Scott, Bahadoor, and Bartos, along with Kelly Kalla and Dale Fredrickson (not pictured) presented their research on the political personalities of Al Gore, Hillary Clinton, Pat Buchanan, and George W. Bush at the 2000 Minnesota Undergraduate Psychology Conference at Macalester College in St. Paul, Minnesota, in April 2000. 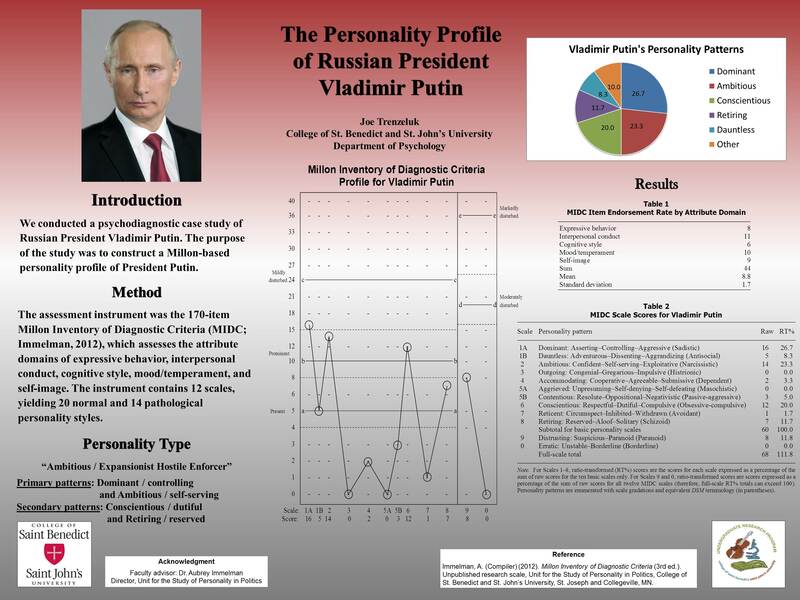 The Unit for the Study of Personality in Politics is operated solely for research and educational purposes. The Unit does not advocate support for or defeat of any candidate for any political office. 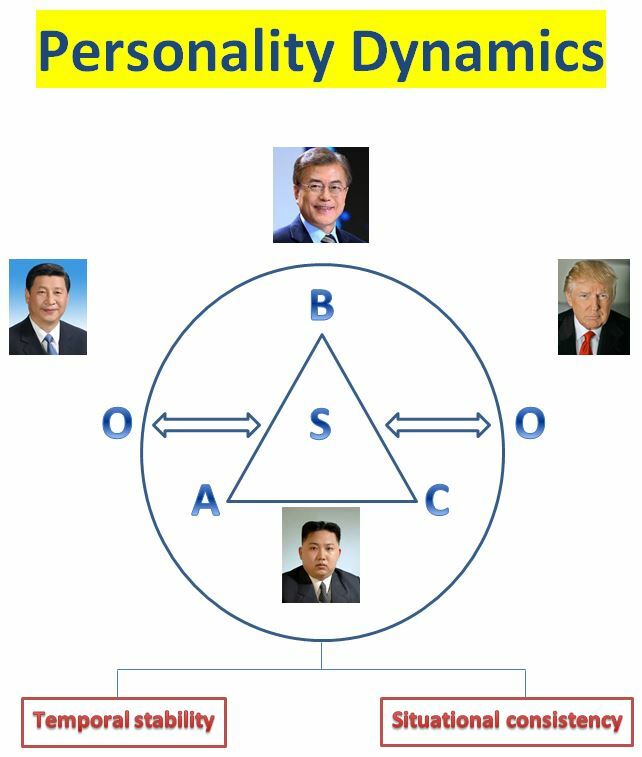 Political analysis published by the director or research associates of the Unit is the personal opinion of those individuals, based on empirical analysis of personality in politics and the influence of personality traits on high-level leadership. 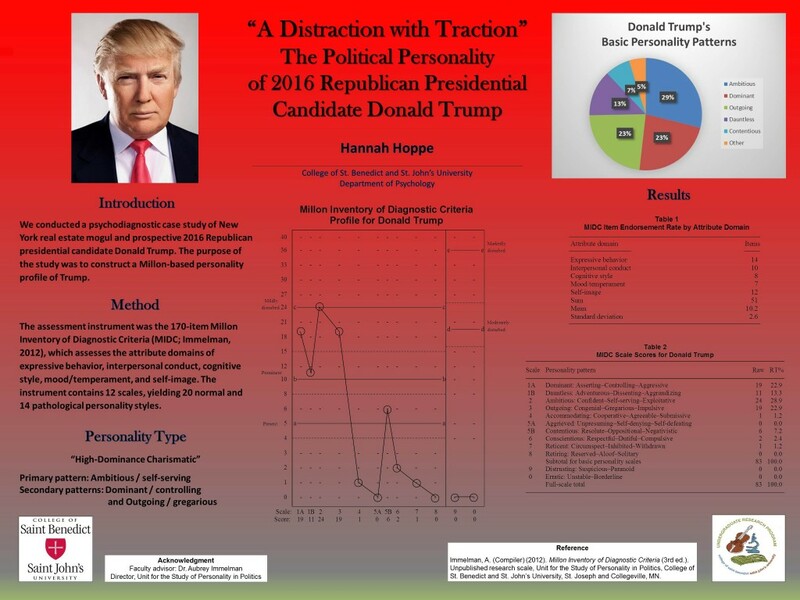 USPP collaborators present studies of 2016 U.S. presidential candidates at St. John’s University on April 21, 2016. The mission of the Unit is to conduct psychological assessments of candidates for public office and to disseminate the findings to professionals, the media, and the voting public. USPP director Aubrey Immelman with 2016 summer research fellows Marcus Langley, Rylee Pool, and Anna Faerber. 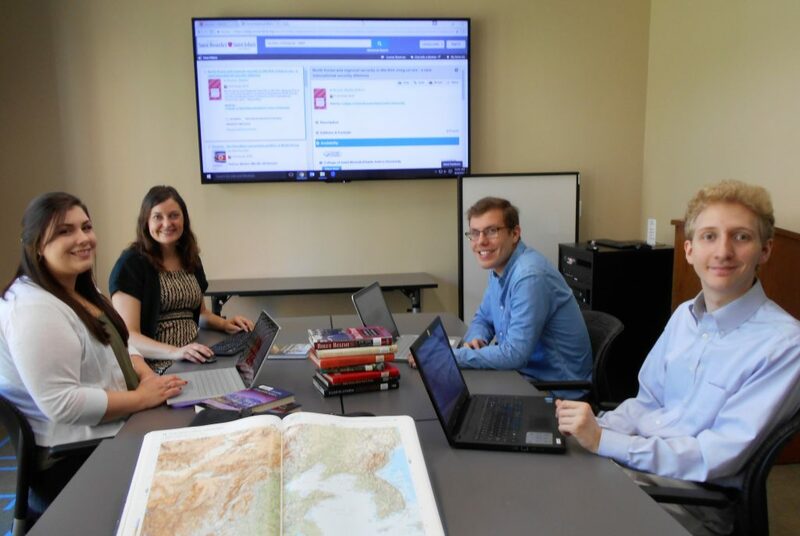 Social sciences librarian Diana Symons instructs USPP research assistants Meghan Keaveny (front left), Jacob Wankel, and Jim Hasselbrink in database research methods for a follow-up study of Kim Jong-un’s personal psychology as a basis for conducting an updated North Korea threat assessment, Aug. 4, 2017. 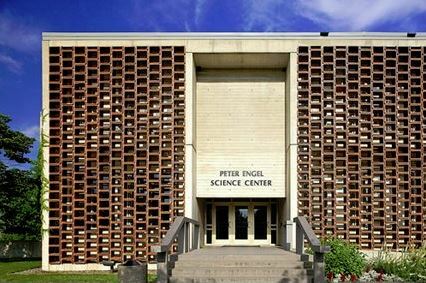 Data collection has begun at the Unit for the Study of Personality in Politics for a study of 2020 Democratic presidential hopefuls, similar to the study of Republican contenders conducted in the spring of 2015. 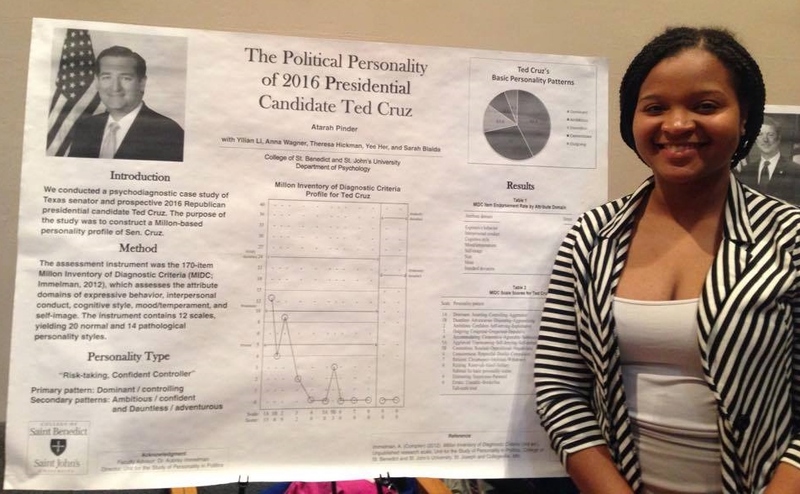 USPP associate Atarah Pinder presents her poster “The Political Personality of 2016 Presidential Candidate Ted Cruz” at Scholarship and Creativity Day, College of St. Benedict and St. John’s University, April 23, 2015. 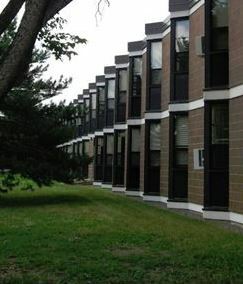 Considering the finite resources and the labor-intensive nature of research at the Unit for the Study of Personality in Politics, the large field of credible announced and prospective Democratic candidates poses practical difficulties: (1) how to select the four to six subjects most likely to advance deep into the primaries and (2) how to ensure the eventual nominee is included in the initial subject pool. We already have data on Joe Biden (2008) and Bernie Sanders (2016) from previous presidential campaigns, so Biden and Sanders are essentially default selections, considering both are among the top-5 frontrunners in current polling. Amy Klobuchar, although at the bottom of the top 5 prospective candidates in the polls, happens to be our local senator (Minnesota), so we are better acquainted with her than with other contenders at the outset. 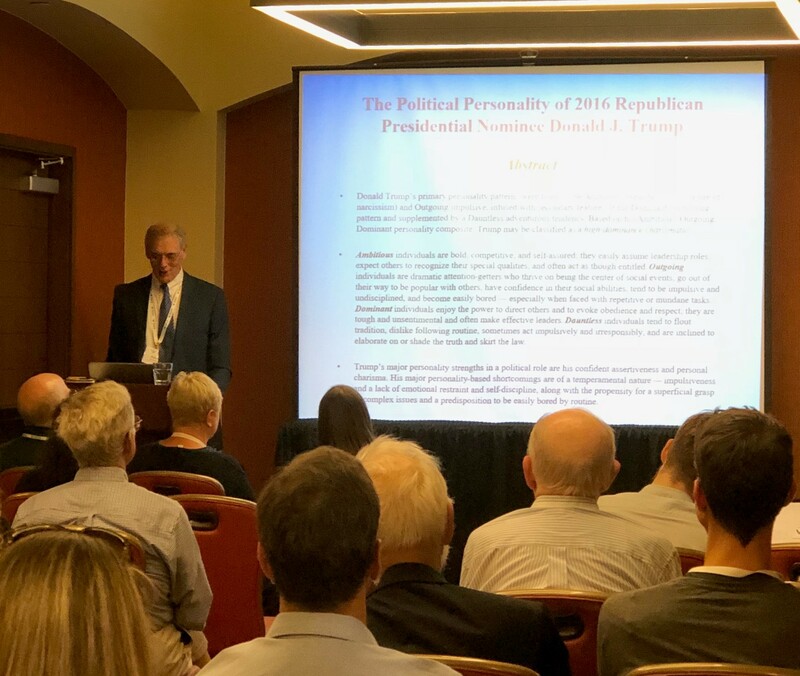 Aubrey Immelman presents his paper on “The political personality of 2016 Republican presidential nominee Donald J. Trump” at the 41st Annual Scientific Meeting of the International Society of Political Psychology, San Antonio, Texas, July 4-7, 2018. 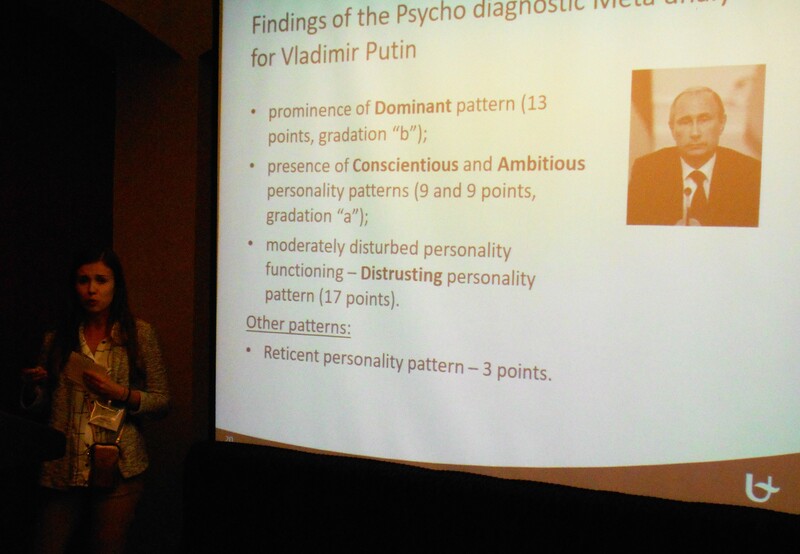 Ganna Diedkova presents the results of her research, with Christ’l De Landtsheer, on “The value of electability in a hybrid regime: Comparing personality profiles of Russian president Vladimir Putin and his opponent Alexei Navalny” at the 41st Annual Scientific Meeting of the International Society of Political Psychology, San Antonio, Texas, July 4-7, 2018. 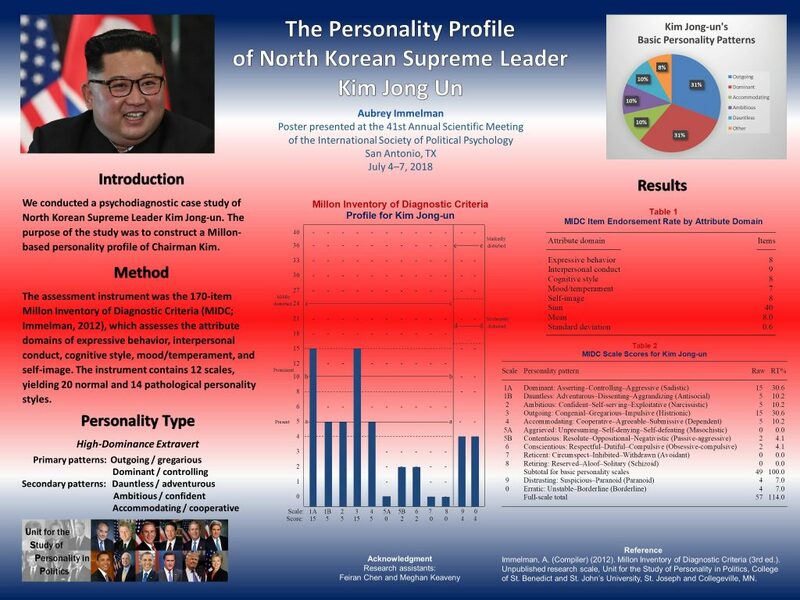 Members of the Unit for the Study of Personality in Politics research team on TV Asahi in Japan to provide analysis for the Singapore summit between U.S. President Donald Trump and North Korea’s Chairman Kim Jong-un on June 12, 2018. From left to right: Aubrey Immelman, Jim Hasselbrink, Anna Faerber, Joe Trenzeluk, Katelyn Hendrickson (screen shot courtesy TV Asahi). College of St. Benedict senior psychology major Katelyn Hendrickson has been appointed Director of Undergraduate Research at the Unit for the Study of Personality in Politics for the 2018-19 academic year. 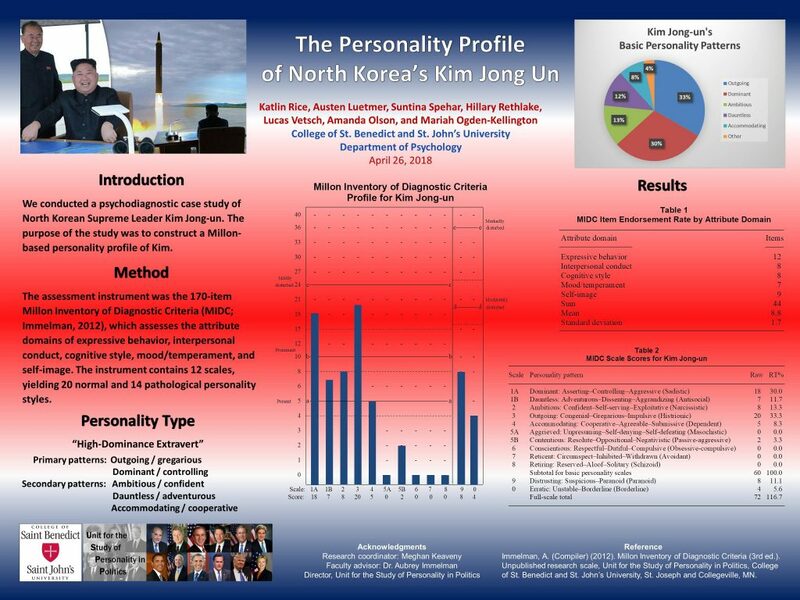 Her duties will include training students in undergraduate Personality Psychology courses in data collection procedures and coordinating group research projects on the personalities of U.S. president Donald Trump, North Korean leader Kim Jong-un, and other political figures. 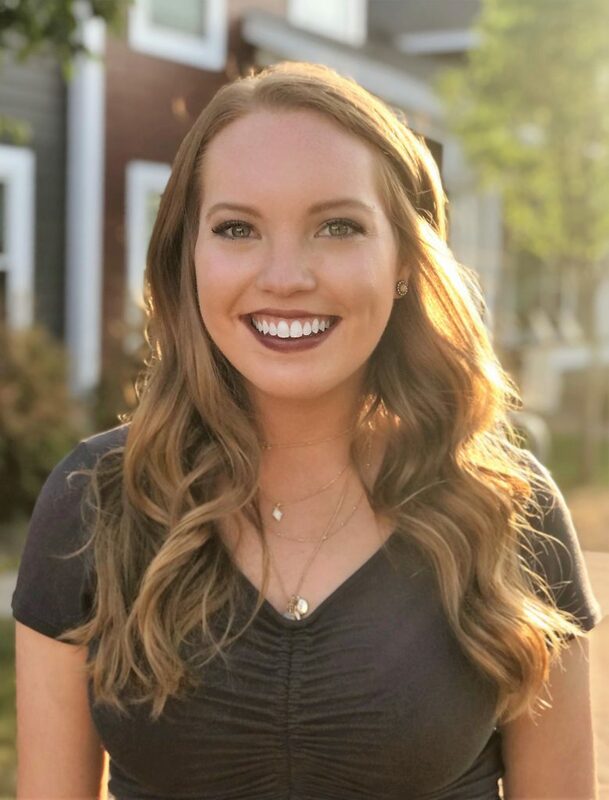 During the 2017-2018 academic year, Katelyn was a teaching assistant for Dr. Ben Faber‘s Applied Behavioral Statistics course. She is currently working full-time as a summer 2018 research fellow at the Unit for the Study of Personality in Politics. In fall 2018 Katelyn will intern at the CentraCare Health/St. Cloud Hospital Behavioral Health Clinic, supervised by Dr. Scott Palmer. On February 27-28, 2019, U.S. president Donald Trump and North Korean leader Kim Jong-un will have a second summit meeting in Hanoi, Vietnam. 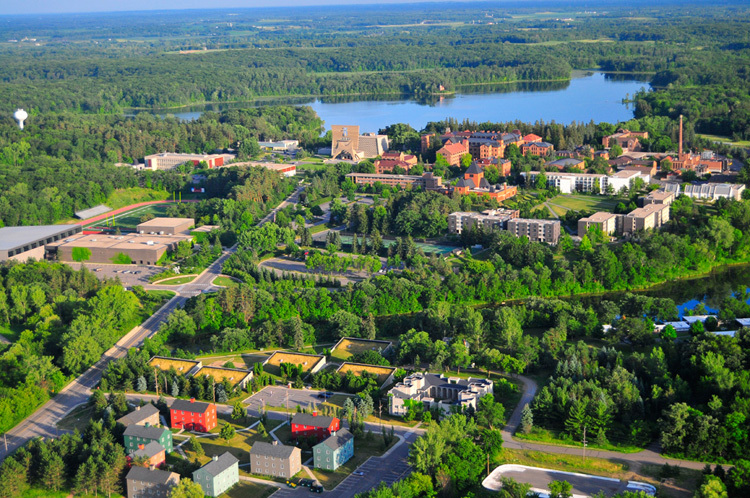 On July 16, 2018, U.S. president Donald Trump and Russian president Vladimir Putin will have a summit meeting in Helsinki, Finland. President Donald Trump’s early afternoon tweet sent the international community scrambling. Trump tweeted the administration would withdraw additional sanctions against North Korea … even though those additional sanctions had just been announced by his own administration. The White House declined to give details on the sudden policy shift, but said Trump was pulling back newly issued sanctions because he “likes” North Korea’s leader Kim Jong Un, according to CNN’s Jeremy Diamond and Kylie Atwood. It was not immediately clear which sanctions Trump was referring to in his tweet. But just 24 hours earlier, the Treasury Department announced sanctions targeting two Chinese shipping companies that have allegedly helped North Korea skirt sanctions imposed by the United Nations. 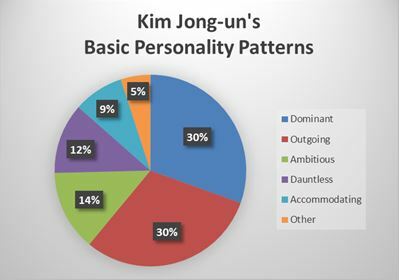 Jenny Town is a research analyst at the Stimson Center in Washington, D.C., and managing editor and producer of 38 North, a web-journal providing analysis on events in and around the DPRK. She is the former assistant director of the US-Korea Institute at the Johns Hopkins School of Advanced International Studies (SAIS), where she managed programs on North Korea, nuclear weapons, nuclear energy, and energy security in Northeast Asia. She is an expert reviewer for Freedom House’s Freedom in the World Index, where she previously worked on the Human Rights in North Korea project. Prior to working in Korean affairs, she was the communications director for Peace X Peace; the director of the Washington (DC) office/special projects manager for government relations at the College Board; and a project manager at Clarity Coverdale Fury Advertising, Inc. She holds a B.A. in East Asian Studies and International Relations from Westmar University and a Master of International Affairs from Columbia University’s School of International and Public Affairs. She is a senior fellow of the Melton Foundation and sits on the board of directors for Korean Focus. 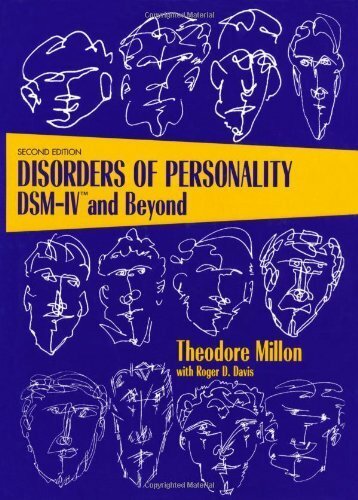 Work at the Unit for the Study of Personality in Politics is dedicated to the memory of Theodore Millon, Ph.D., D.Sc. 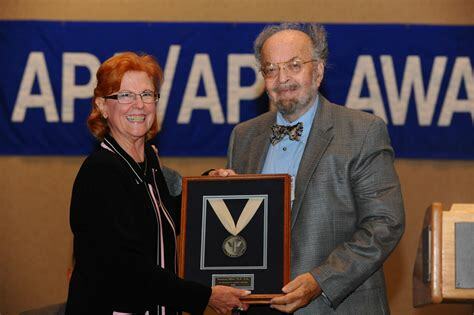 Dr. Theodore Millon receives the Gold Medal Award for Lifetime Achievement in the Application of Psychology at the 2008 annual meeting of the American Psychological Association in Boston, Mass.